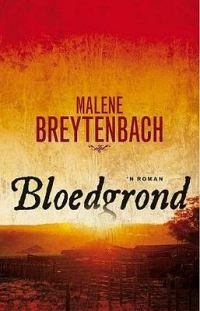 Malene Breytenbach was born on 1 September 1948 in Port Shepstone, Natal. Her parents emigrated to Rhodesia (now Zimbabwe) where she attended Cecil John Rhodes Primary School and Chaplin High School in Gweru. At the age of fourteen she moved to Pretoria and matriculated at the Afrikaanse Hoër Meisieskool. She obtained her BA and BA(Hons) (English) at the University of Pretoria and worked as a translator. She and her husband Willie and daughter Karen moved to Stellenbosch in 1985 where she studied Honours, masters and DPhil in Journalism, MA (Ancient Near Eastern Studies) and MPhil (Ancient Studies). She was employed by Stellenbosch University from 1990 to 2008 in Public Relations, Communication and the Stellenbosch Foundation. 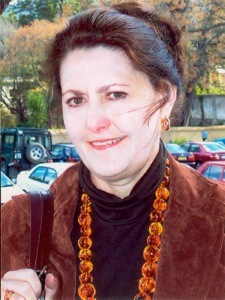 Since her first romance, Palmyra Herleef, was published by LAPA Publishers in 2005, more than thirty of her romances (historical, contemporary and medical) have been published by LAPA and Tafelberg Publishers. Her first novel Gister is 'n ver land, appeared at Tafelberg in 2009. Her story, Polvye appears in Bloots, Tafelberg, 2012. Malene has written various articles and short stories in newspapers and magazines. She regularly writes book reviews for magazines, newspapers and Litnet. She is an avid reader, loves cats, has recently become a grandmother (daughter Karen, granddaughter Mia, son-in-law Barry Botha), thinks Stellenbosch is "where I ought to be". Her husband, Prof Willie Breytenbach, a political scientist, is a great supporter. Her cat, Mozart, is the only survivor of many much-adored cats.